Each of the Canary Islands has one airport – with the exception of Tenerife which has two: one in the north and one in the south – so getting to the islands is never a problem. The airports in Tenerife, Gran Canaria, Lanzarote, Fuerteventura and La Palma are all international airports so these are the ones you need to look at when planning your trip to the Canary Islands. If you want to visit one of the other islands, such as El Hierro or La Gomera, you’ll have to catch a flight to Tenerife and then either take an internal flight with Binter or take a ferry ride with Fred Olsen or Naviera Armas to get to the island. Flight and ferry tickets are usually very cheap so this shouldn’t dramatically affect your holiday budget. There is a huge number of airlines which fly to the Canaries. 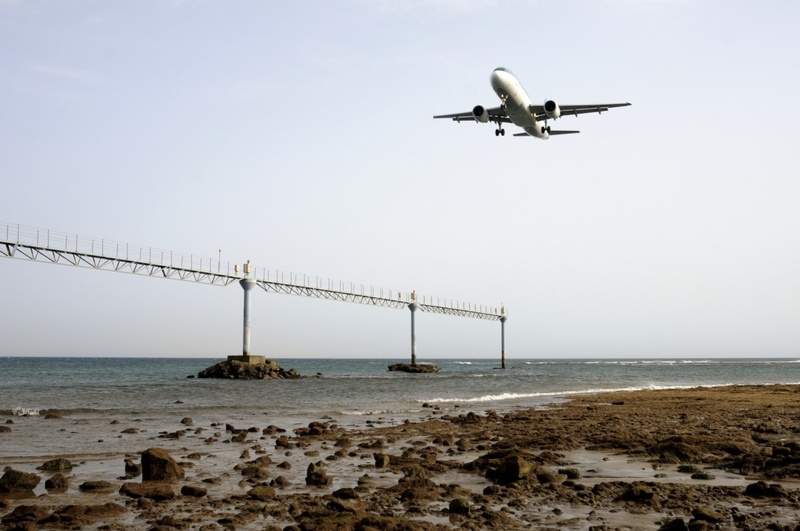 At the time of writing you can only fly to the Canary Islands from inside Europe, so if you’re travelling from further afield, you’ll first have to fly to an airport within Europe then take a connecting flight to your chosen airport in the Canary Islands. British Airways, Thomson, Flythomascook and Norwegian all operate flights from various airports throughout the UK – including London, Manchester, Bristol and Newcastle – to the Canary Islands. If you want to fly to the Canary Islands you’re not limited to UK airports. You can catch a flight from any of the following destinations: Ireland, France, Germany, Spain, the Netherlands, Italy, Slovenia, Norway, Portugal and even Morocco. Aer Lingus, Iberia, KLM, Vueling, Swiss, Air Berlin, Air Europa, Finnair, Austrian Airlines, Luxair and Germanwings are just some of the airlines which connect Europe to the Canary Islands. If you’re in search of a budget holiday to the Canary Islands, you’ll be pleased to hear that there is a handful of low-cost airlines which fly there from all over Europe. Ryanair, Monarch, Jet2 and EasyJet all fly to the Canary Islands for very reasonable rates, with most return journeys costing less than €200 per person. For example, Ryanair has three bases at Canary Islands: Tenerife South, Lanzarote and Gran Canaria and also serves two more airports: Tenerife North and Fuerteventura Airport. It's not a matter of luck that Ryanair has made a name on serving so many beach destinations with affordable flights including flights to Mallorca and Menorca, flights to Sardinia, flights to Malta, flights to Rhodes, Chania, Aktio near Lefkada in Greece and so many more summer destinations. In 2012, Gran Canaria was the busiest airport in the Canaries with 9,892,288 passengers, followed by Tenerife South with 8,530,817, Lanzarote with 5,196,386, Fuerteventura with 4,399,183, Tenerife North with 3,717,944, La Palma with 965,779, El Hierro with 152,726 and finally La Gomera with 19,690. Gran Canaria was so busy that year that it was the fifth busiest airport in Spain, following closely behind Madrid, Barcelona, Majorca and Malaga.